The incursion of Colombian paramilitary groups into Venezuela has been a silent and dangerous invasion. It cannot allow under any circumstance that paramilitary groups be established in the country. Admittedly Colombian brothers have come to work with dignity, but others have come to commit crimes. The paramilitary groups act as mercenaries’ cells, paid by landowners or governments that promote terrorism and paramilitarism in Venezuela began acting at the frontier of Tachira, Apure and Zulia cattle rustling, kidnapping, extortion and killings. Proof of this has been the number of peasants killed by hired killers over the issue of land by paramilitary groups. All these events are not accidental. Behind these events is the hand of Santander Uribe Velez and his family, one of the creators of such mercenaries or paramilitaries in his country. There are also the seven US bases, besides US embassies in Colombia, in Venezuela there is the fascist bourgeoisie that just want a jackboot to be installed here. They are using the paramilitaries to destabilize the country, the electricity service, the university and economic sectors not to mention convulsing large cities with guarimbas and killings of leaders. Venezuela has denounced the presence of paramilitary groups of the extreme right in its territory. These groups, coming from Colombia, pursue well-defined political and economic objectives. Three cases of murder with extreme violence committed recently caused fear and outrage in the Venezuelan population. Despite the fact that it was intended to link those crimes to common criminals, Bolivarian government research found links with paramilitarism. There is evidence of the Colombian Government hiring professional killers in the border area as well as using internal political criminal elements linked to the killing of the youngest elected member of Parliament Robert Serra and his fiancé and the murder of Eliezer Otaiza who was alderman in the municipality of Libertador in Caracas. At the same time it has become clear that through these crimes what is sought was the weakening of the Bolivarian Revolution. Exactly two years ago the report on the conspiratorial acts against the welfare of the country executed by three diplomats from the US government in Caracas was revealed. In this report it was explained that Kelly Keiderling, Elizabeth Hunderland and David Mutt held meetings with opposition sectors of Amazonas and Bolivar linked to destabilization plans put in place both in the basic industries of the region, including the promotion of street protests and the promotion of indigenous rebellions. This fact merited the expulsion of three officials of the US embassy in Caracas. These actions are connected to the collapse of Total Plan, denounced in recent days by President Nicolas Maduro and providing for the destabilization of the Bolivarian Revolution and the Venezuelan democracy. It's a great psychological operation with concrete expressions taken directly by these officials of the US Embassy. President Nicolas Maduro has put an iron hand to defend the homeland at whatever expense. 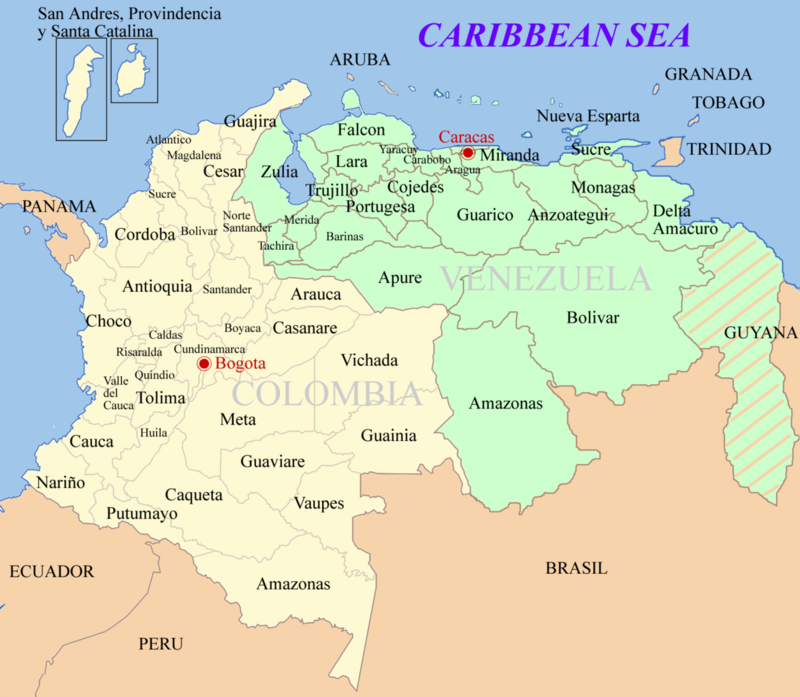 Venezuela and Colombia share 2,219 kilometres of land border, one of the longest and most densely populated of South America. The daily crossing from side to side, through the legal procedures, and dozens of trails, is intense. This situation has led, for the lack of control of both Colombian and Venezuelan authorities, to an environment conducive to illegality, which imperialism takes advantages of in order to defeat the Bolivarian revolution.